When you think of a birthday party magician you may immediately think of a child’s birthday party. It is true that most magicians work for children as kids love a magician and their performance at their party. However most performers can also work for grownup parties, whether for birthdays or even corporate events. If you’re in charge of such events for anyone you may want to consider a magician to entertain the crowd. 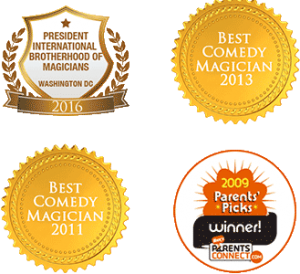 Consider a few reasons why even adults love to have a birthday party magician for their party and why they’re good for a corporate crowd. 1. A magician can keep a crowd entertained. One problem with many types of entertainment is that an entire crowd may get bored without something to keep their attention. If you provide music for dancing, those who don’t like to dance are going to get bored very quickly. Not every adult likes to play cards or will enjoy a Las Vegas-style gaming room. A magician however can entertain a large crowd very easily. Some can participate if they’re called up on stage and others can sit back and watch the show. This is one reason that they’re a good choice for any grownup crowd. They’re also not a dry, boring speech that some might find less than entertaining but will keep everyone happy for their entire performance. 2. A magician is not offensive and perfect for anyone in the crowd. When you hire a comedian to entertain a crowd, they may tell jokes that some find offensive. This can be a very poor choice for a corporate crowd where you don’t want to offend anyone in the audience! A magician however is not typically offensive and they can be the right choice for any mix of people in the audience. If you’re struggling to find entertainment for a mixed audience, a birthday party magician is the right choice. 3. They don’t require much setup or cleanup. If you want to hire a deejay to entertain the crowd you may need to have space for speakers and space for dancing. The same is true if you want everyone to play cards or want to set up a gambling room. These things require lots of setup and cleanup. However, a birthday party magician usually brings their own table and doesn’t need any help to get set up or to tear down, which makes it easier on you.